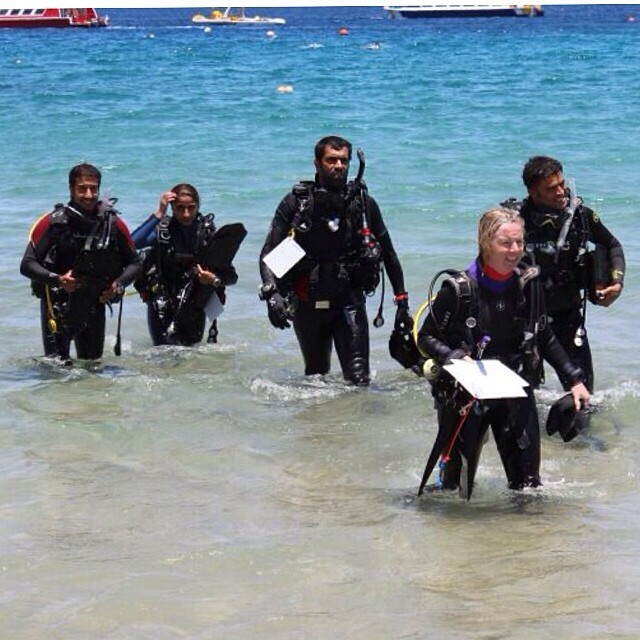 My recent trip to Egypt started with a bit of recreational diving, as I examined at three IEs in Hurghada (with fellow examiner and keen rebreather diver, Nicole Detry), Sharm and Dahab. 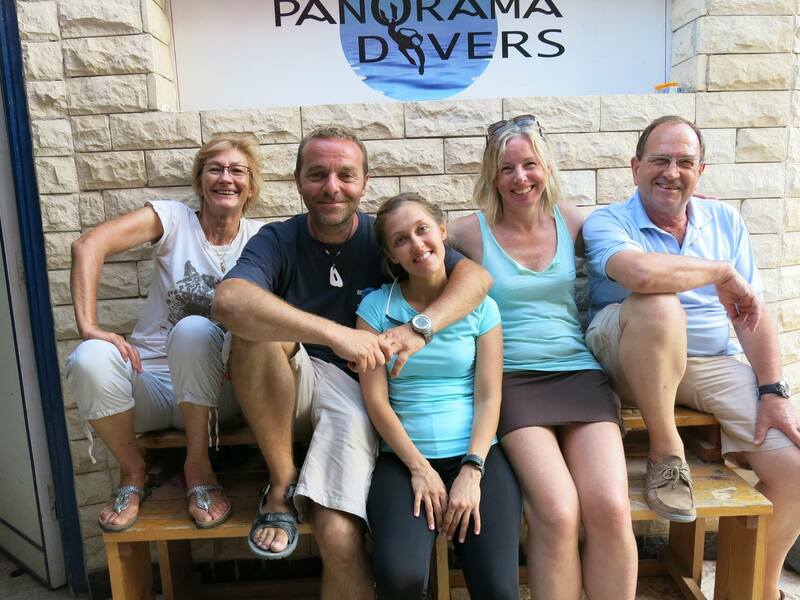 I also got time to visit Panorama Divers our latest TecRec centre in Hurghada, Camel and Red Sea Dive Club in Sharm who supported the IE amazingly as did Red Sea Relax in Dahab where I also managed a quick visit to Poseidon Divers and Dahab Divers Technical. 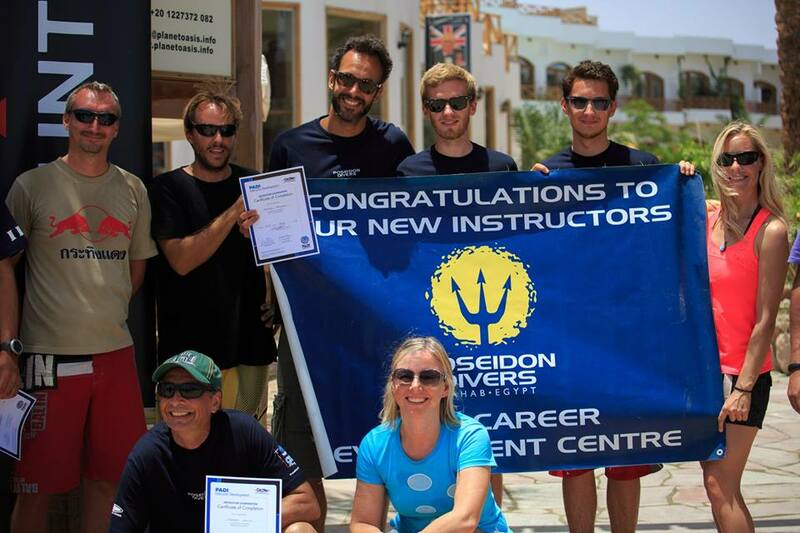 It was a whirlwind 10 days filled with exuberant instructor candidates, amazing Course Directors and support staff as well as a bit of dancing and my first trip to Dahab. 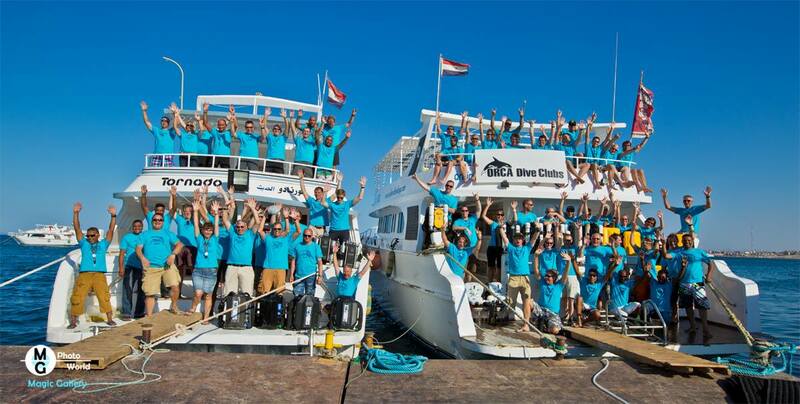 And then it was time to return to tec….Red Sea Silence, a rebreather event in Safaga. 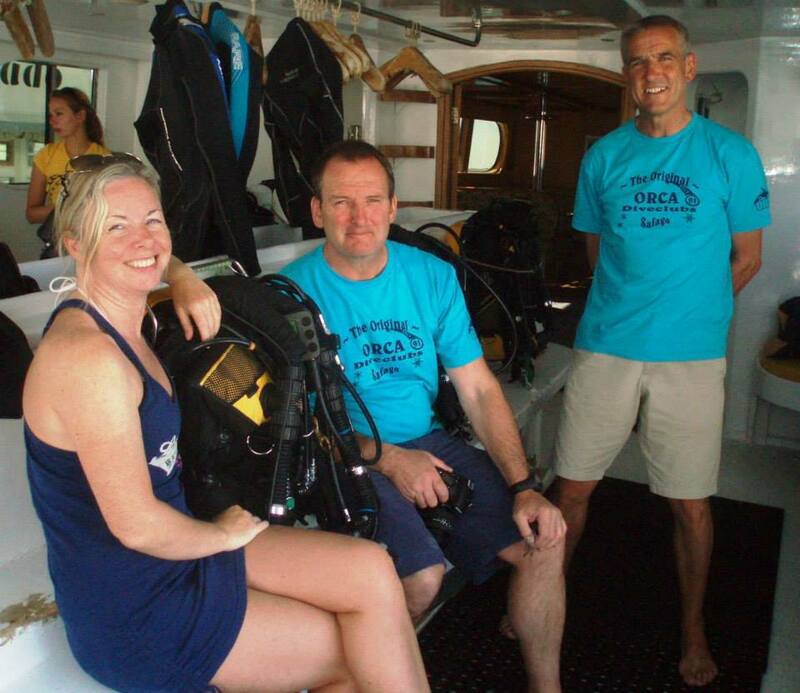 Following on the “Innerspace” idea of a week dedicated to rebreather diving with rebreather manufacturers offering try dives, giving presentations and sharing their expertise. 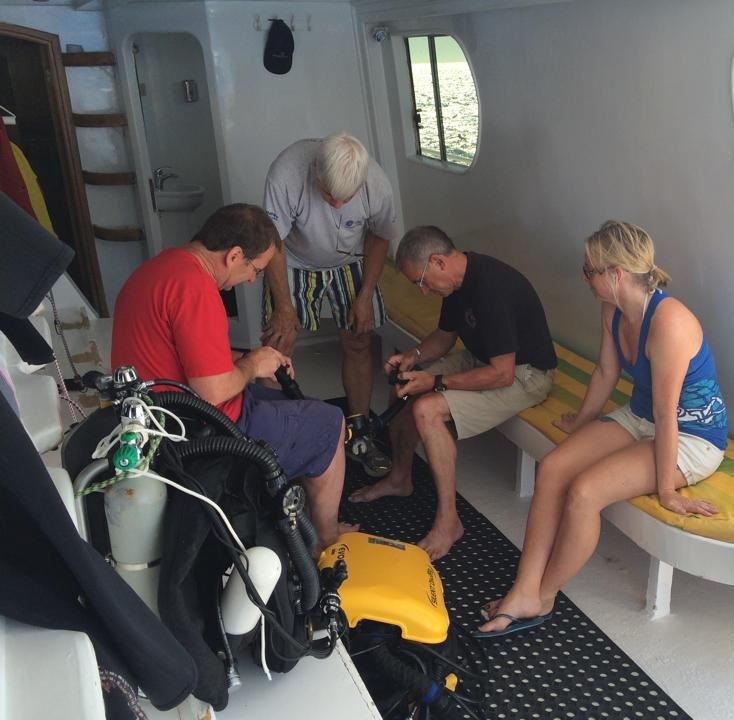 OC divers were also welcomed with many trying several rebreathers before the week was out. Martin Parker and Terry Fisher were there to support the APD units (above – Martin decided my loop should be shortened so formed an attack team with Terry and Tino to show how easily it can be done, even on the way to a dive site), Richard Swartling led the Poseidon team showcasing the Poseidon SE7EN and Hollis brought their Explorer and Prism 2 units to Red Sea Silence for the first time. 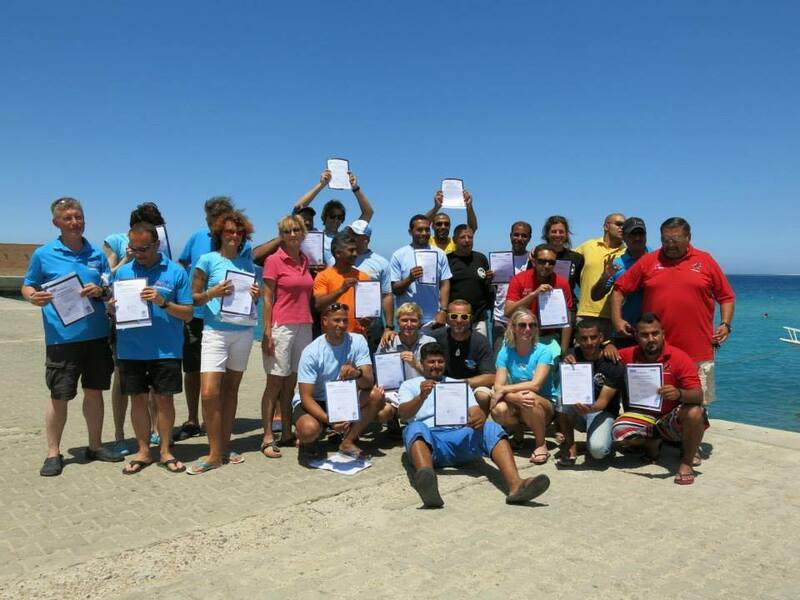 I was there to support existing and wannabe PADI divers and members and gave a presentation on Rebreather Rescue, which lead to some fascinating discussions throughout the rest of the week. I got to meet and spend time with lots of divers from those new to rebreathers, all the way up to PADI Course Directors and TecRec ITs Matthias Breit and Niko Baumann (above), who showed that their love of shiny toys extends way beyond the water! 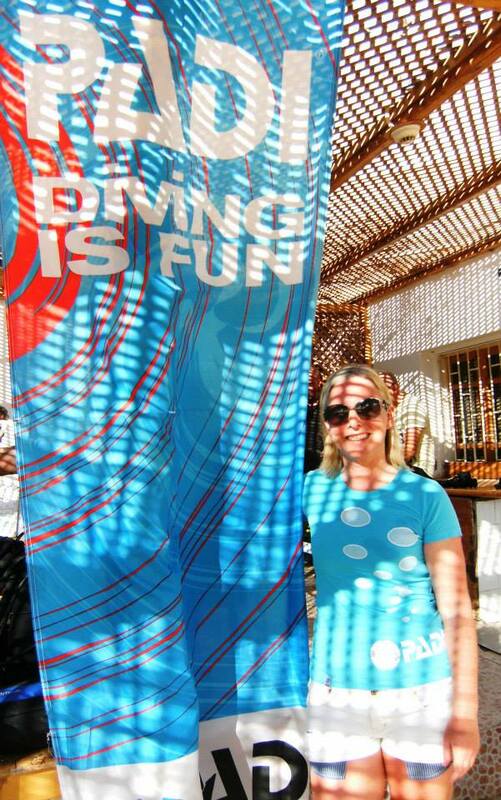 The PADI Flag flew proudly in the kitting up area, showing that we were working from a PADI Dive Centre! 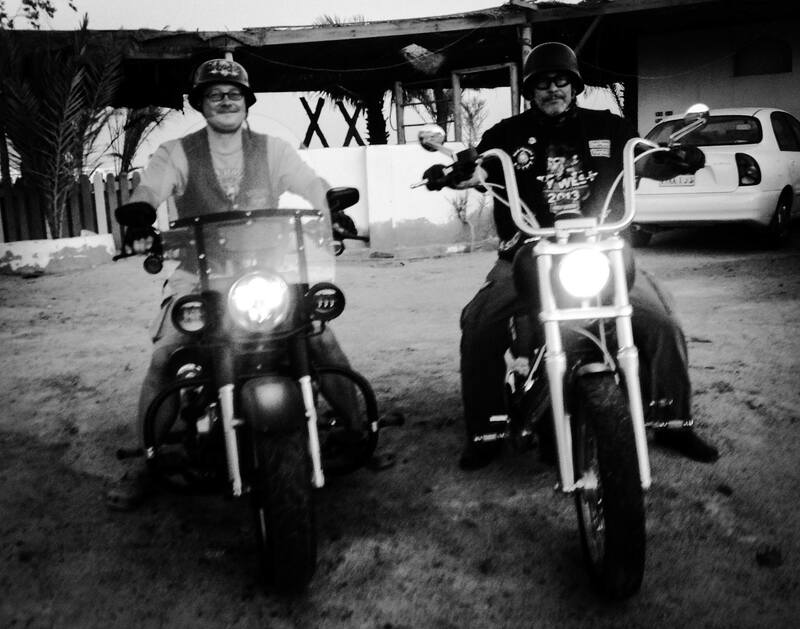 The facilities and organisation at Orca Dive Club, Safaga were awesome as always. The end of the week celebration started with a group photo on two of the boats, followed by a BBQ, prize draw for some amazing goodies contributed by the manufacturers and a fantastic evening with all the friends we had made.